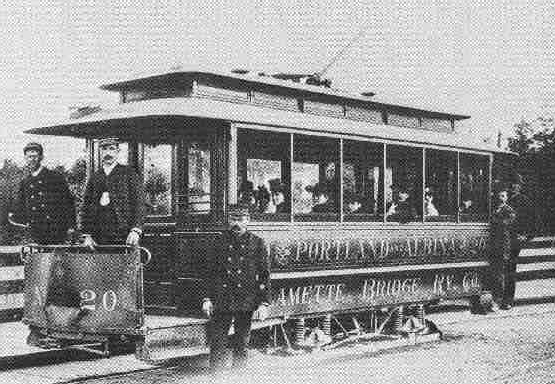 During the early 20th century Portland expanded rapidly on the east side of the Willamette River. At the start of this era the Hollywood District contained only a few homes and dirt roads. In 1906 a streetcar line ran the length of Sandy Boulevard. Called the Rose City Line, the streetcar allowed residential growth. As families filled suburban homes, community services were in demand. Fire Engine Company #28 was stationed at 5440 Northeast Sandy Boulevard in 1912. They were a horse drawn company until 1920 when motorized vehicles replaced the wagon. Hollywood soon became one of Portland’s best known commercial districts. The name was adopted from the Hollywood Theatre, built in 1926 on Sandy Boulevard in the heart of the district. 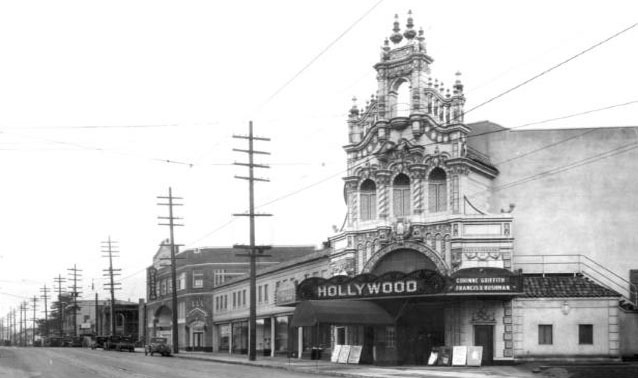 For several decades, Hollywood served as the business center for Northeast Portland. The Moorish-style design, tiled roof and colorful ceramic decor of the Hollywood Theatre is continued in several nearby buildings, giving Hollywood a distinctive character. Even today, this beautiful theater is one of the central attractions of the Hollywood neighborhood, showing new and vintage fine films. In 1931 Fred Meyer opened up a store in the Hollywood Neighborhood along Sandy Boulevard. In addition to groceries, general merchandise and a pharmacy, the new store offered off street parking and a gas station. Paulsen’s Pharmacy has continued to operate out of its original 1918 location at 4246 NE Sandy Blvd. Famous for operating a 1920s style soda fountain, Paulsen’s offers old fashioned customer service along with the latest products. Over the last 75 years, the Hollywood District has undergone change, leaving it a mixture of both old and new. Despite these changes, the neighborhood continues to hold onto its historic front porch homes, neighborhood charm, traditional businesses, and sense of community. For more information please visit www.hollywoodpdx.org.